The Doctor: And if this place vanishes, then the TARDIS and the rest of us will vanish also? Toymaker: Correct. That is the price of success. Make your last move, Doctor. Make your last move. Writers: Brian Hayles and Donald Tosh. 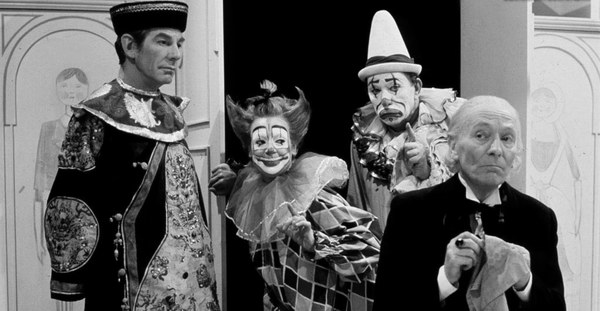 Starring William Hartnell as the Doctor, Peter Purves as Steven Taylor and Jackie Lane as Dodo Chaplet; with Michael Gough as the Toymaker. 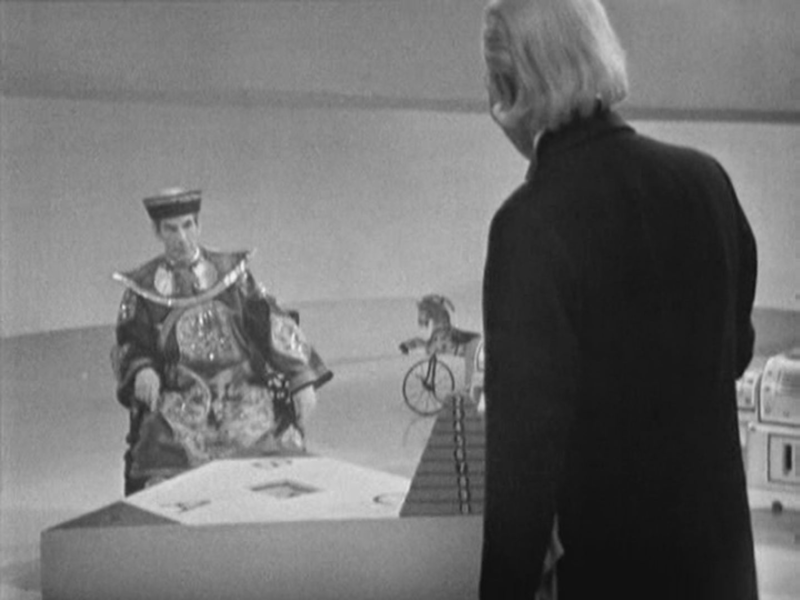 The Doctor, Steven and Dodo are forced to play childish – but deadly – games to entertain the Toymaker. Though Part Four got the lowest figures of the serial, it still got a hugely-respectable 7.8 million. Parts One and Two both had 8 million watching, but Pat Three was the high-point for the story, with 9.4 million viewers. 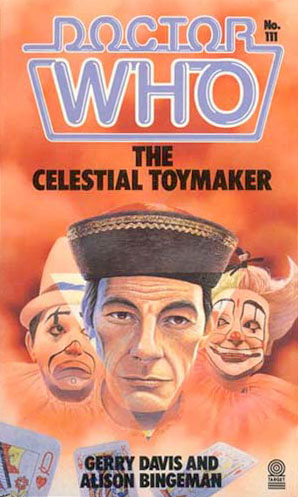 The Celestial Toymakermight be a bit of a mixed bag – but there’s not a Who fan in the universe who doesn’t want to see the full serial back in the BBC’s archives. Part Four available on the Lost in Time box set. Part Four is the only episode of the serial still held in the BBC archives, as the other three are missing, believed wiped – never to be seen again. The soundtrack, however, still survives, and can be heard on BBC CD. A racial slur in episode 2 is covered by linking narration by Peter Purves on the soundtrack. 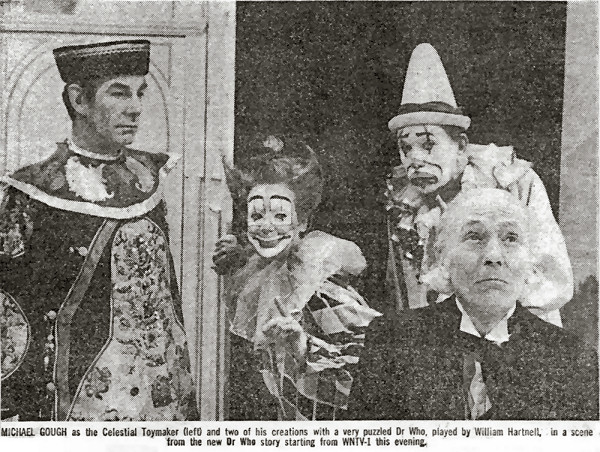 The Toymaker (once more played by Gough) was to return in The Nightmare Fair, but Michael Grade put the show on hiatus for eighteen months, and the serial was never made for broadcast. WATCH IT IF YOU LIKE… AN UNEARTHLY CHILD.